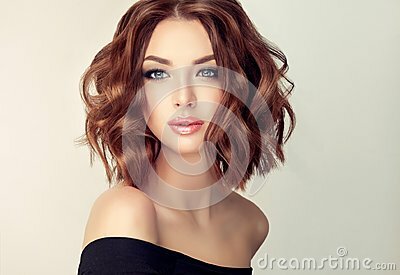 Young and attractive brown haired woman with modern, trendy and elegant hairstyle. Young and attractive brown haired woman with modern, trendy and elegant hairstyle. Example of middle length,dense and curly hair.Gentle make up and long eyelashes. Romantic look in eyes of charming model.